We operate on a bi-weekly service rota. Due to the competition in our market sector many of our competitors operate a three or even sometimes four week maintenance interval. This is fine for keeping wage costs to a minimum, but it is bad news for the plants. Busy? We can call you back at your preferred time. 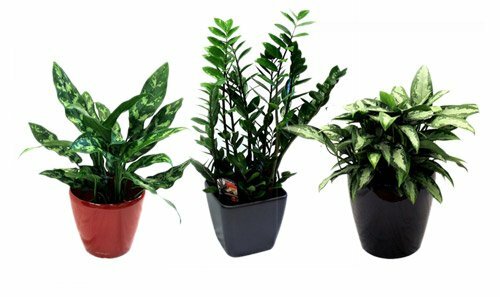 Office plants require regular maintenance including; feeding, watering and cleaning if you are to get good results in your office. Dead leaves need to be removed and containers polished. Failing plants will need to be changed. This is why a bi-weekly service is essential. You are paying for smart, healthy plants and that is what your employees and customers expect to see. We are aware of one company that makes a quarterly maintenance visit. Great prices – shame about the plants! The promise we make to you is that we will visit your site every two weeks. We will water, feed, clean your plants and containers, control any pests and replace any natural plant failures, all within the price quoted in our contract. This work will be done on a regular basis by the same experienced and properly trained member, or members, of staff. As a customer you can assist us in keeping office plants looking good. This means not pouring tea and coffee into the plants or dangling ornaments from them at Christmas – just a thought.